And so to the final activity of our little 'adventure' - orienteering. 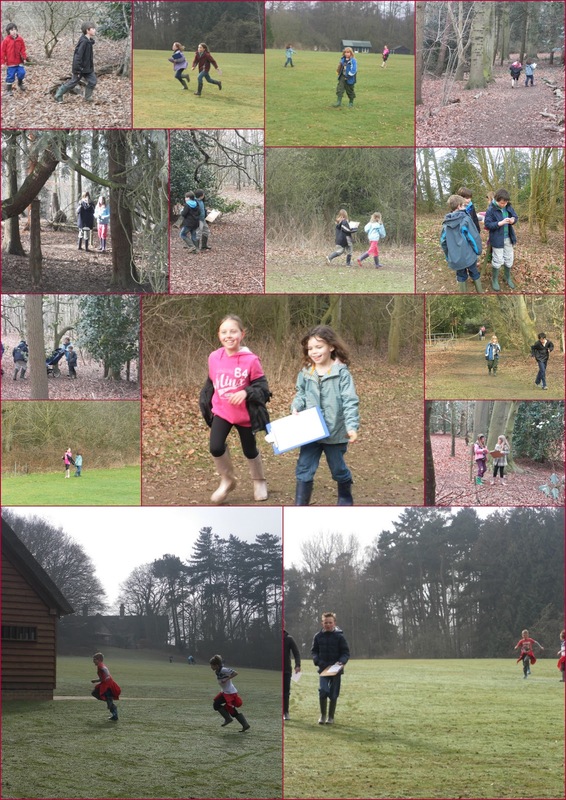 Year 3 and 4 children had to locate coloured markers in the woods by using a map, whilst the Year 5 and 6 children needed to use compasses to find the direction they needed to travel in to find the next marker, and so on. It tired me out just watching it from a distance! 2) It's incredible what you can find in an owl pellet! 3) The capacity for the consuming of polos and softmints (other minty flavoured confectionery is available) is almost legendary. 4) Thank goodness for digital leaders. 5) The caring attitude shown by all children to one-another is top rate. 6) How humorous the slogan 'may contain nuts' can become! 7) Seeing a Kingfisher and Marsh Harriers will always have a 'wow' factor. 9) A smile says more than a thousand words. 10) All children appear to love weaving.